How about this one? 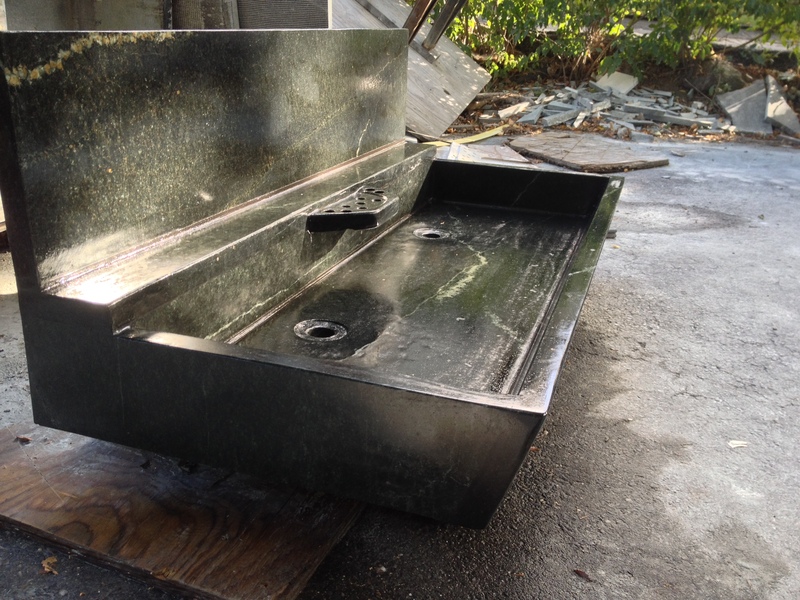 A 48 1/2 inch x 21 slant front trough sink for a 4-boy bathroom with back deck and back splash. Pretty cool hand-made soap dish too. Toothbrush holes even! 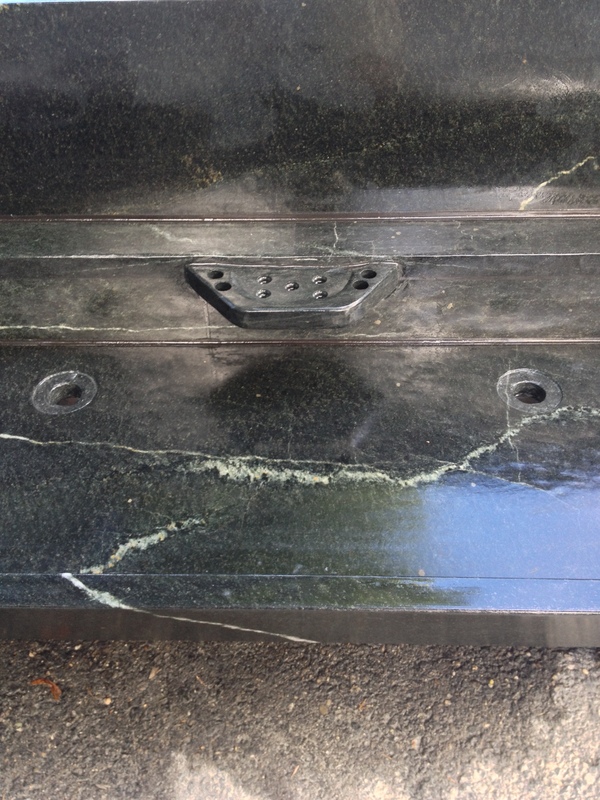 This was done with some hard-to-find Alberene Old Dominion counter top stock I got from Dorado Soapstone in Shrewsbury. 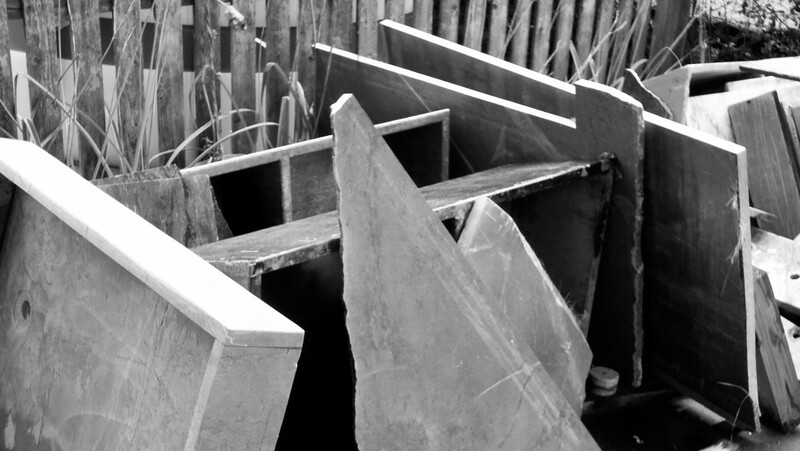 These are some pieces of the old alberene sink after I carefully cut it up. I knew it had some major crack so it was no use restoring it as it was. This sink is 5 inches deep and is made to sit on top of a standard vanity cabinet. It has room for a back deck faucet. It’s also made of recycled and epoxied cut offs and small pieces. Fun project. Doesn’t look so bad either. 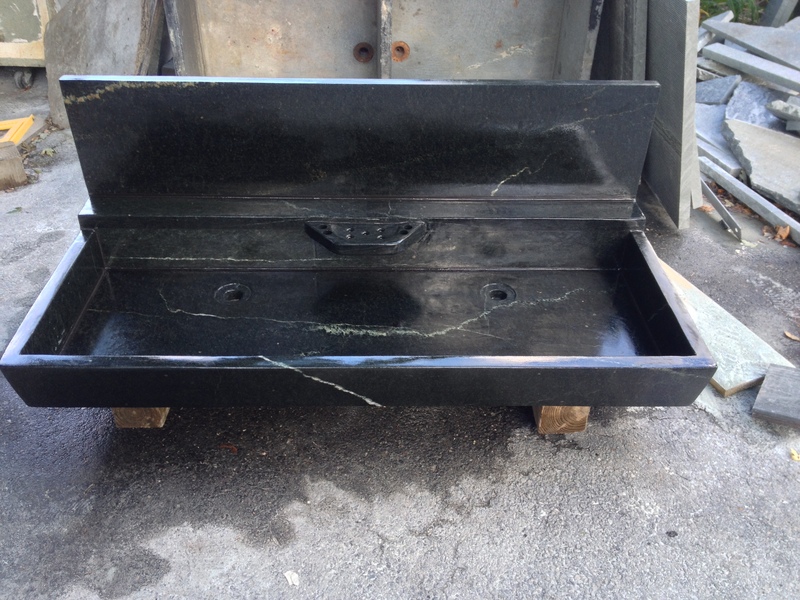 A job I did outside in the cold a from a couple of winters ago…six hair washing basins made with 3 refinished and repurposed 100 year old soapstone sinks. Great idea and very unique.